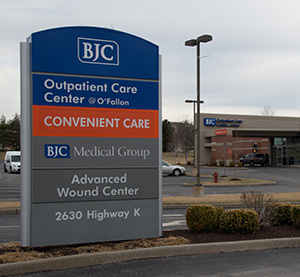 The specialized team at our Advanced Wound Center offers comprehensive treatment options that focus on rapid healing while addressing the underlying causes of chronic and hard-to-heal wounds — an approach centered on improving quality of life, with reduced pain. Through advanced and individualized care, we manage chronic and hard-to-heal wounds so they heal quickly and completely. Our center is staffed by a multidisciplinary team of health care professionals with specific training in the latest treatments, which include the only hyperbaric chamber in St. Charles County. It’s state-of-the-art care that promotes optimal healing. When you choose our team, you can expect a customized evaluation and treatment plan, followed by education focused on minimizing the recurrence of the wound. Each patient receives our dedicated and specialized attention, so the best care possible is provided. The cause of chronic wounds vary, so we tailor therapies that are responsive to these differences. 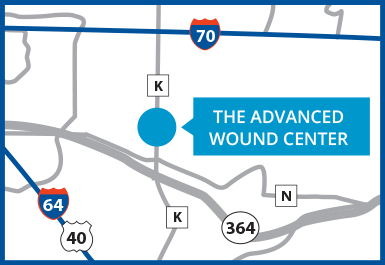 Patients can be referred to The Advanced Wound Center by a physician or by self-referral. To schedule an initial evaluation, please call 636.614.3096.